Holy Trinity is not an isolated congregation. 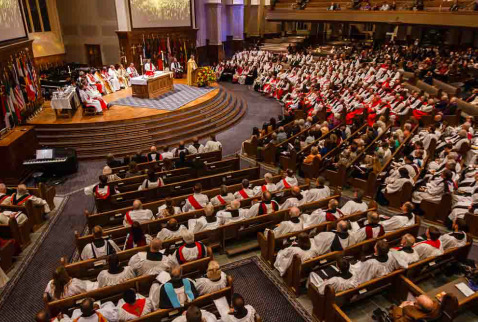 We are connected to the broader church through the Anglican Communion, a network of approximately 80 million Christians world wide. Anglican Christianity is characterized by its form of worship as set forth in our Book of Common Prayer, which with some slight differences, is shared by all of the other Anglicans around the world. Anglicanism also has the historical 39 Articles of Religion which set fourth basic principles of the faith which date back to the year 1563. It is focused on the scriptures, and it uses liturgies of the church which date back to apostolic times. It is connected through the oversight of bishops who are themselves in relationship with one antother through colleges of bishops. Anglican Christianity is one of relationsips, in our parish, in our diocese, in our province, and in the Anglican Communion worldwide.